Role: Legal representation of people unable to afford legal help and presenting workshops to them. With its brutal history of apartheid and colonialism, there can be few better places than South Africa to get involved in campaigning for human rights and make a real impact on people’s lives. Our Law & Human Rights placements in South Africa are based in the bustling city of Cape Town. Although voted one of the most beautiful cities in the world, Cape Town harbours a noticeable disparity between rich and poor. A huge indicator of this can be seen when flying into Cape Town International Airport and viewing the housing situation below. Volunteering on the Law & Human Rights placement in South Africa will give you the opportunity to work on really worthwhile projects, alongside likeminded volunteers and passionate staff. Depending on your background, legal knowledge and level of interest in specific areas, you will gain first-hand experience of human rights law in practice, gain knowledge about the legal system as well as learn about community involvement. 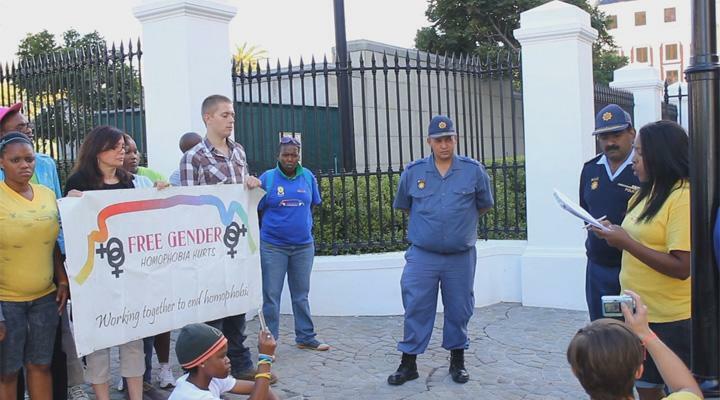 Volunteers are given the opportunity to get involved at grass roots level, raising awareness about human rights to a variety of people throughout the Western Cape. We have welcomed many volunteers including undergraduates, graduates, those taking career breaks and pre-university students. 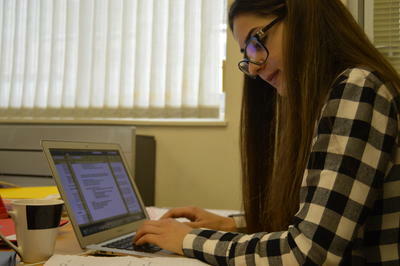 The work is suitable to all who have at least a year of University and have a general interest in human rights and are willing to work hard and dedicate their time to improving the lives of others. Pre-university students will work in the social justice department. In response to the huge need for human rights volunteers in South Africa, Projects Abroad funds our own Human Rights Office in Cape Town. Volunteers are based at the Projects Abroad Human Rights Office, fondly known as PAHRO, which is located in the Wynberg area of Cape Town. Your precise role within the project will be determined by your background, legal knowledge and level of interest in specific areas. The collective mission of the Projects Abroad Human Rights Office is to promote respect for human rights and human dignity by providing good quality, independent legal advice to the poor and vulnerable and also to participate in social justice. We cover a broad spectrum of topics within our office. If you want to read more about the office and get an idea of the areas of work we cover, as well as details on the projects that are currently running please visit the Projects Abroad Human Rights Office website. Your placement will typically involve several elements. You might be producing information resources, such as research reports or consulting with clients, handling case work and writing up legal opinions on these cases. At other times you may carry out workshops on specific human rights aspects. There is plenty for you to become involved with and you will definitely be kept busy! As a pre-university volunteer, your performance in the Social Services department of the project will dictate the level of involvement in any legal aspects of the work. Your legal experience will determine the level of legal work you will be involved in and some of the more important, complex legal work may be reserved for those who have legal experience. It is also important that you have a good level of English to participate in this project. Strong English skills are especially relevant if you wish to work with the legal services. The Projects Abroad Human Rights Office offers free and independent legal advice to those who need it most and our clients come from a number of sources. Many people we work with are clients who come into our offices after hearing about our organization through word of mouth. Communities here are very close and word travels fast about what we do and how we have helped others. We also conduct free legal clinics within disadvantaged communities for those who are unable to visit us here in the office. There are a variety of case topics we deal with including, domestic violence and matrimonial matters, labour law, housing matters, human rights violation referrals from the SAHRC and possibly our biggest area - refugee rights. 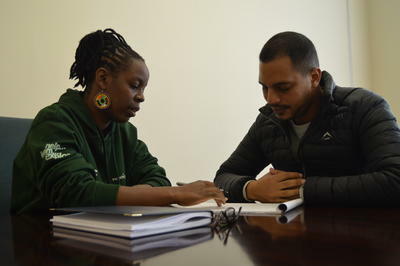 Immigrant and refugee rights have become a huge part of the work we do due to the instability of a number of countries within the region South Africa becoming a central assembly point for refugees. Law & Human Rights volunteers should expect to work from 8.30am to 4.30pm from Monday to Thursday and then 8.30 to 1.00pm on Fridays. All volunteers need to show a good level of initiative; how much you get out of this experience is related to what you are prepared to put in. Volunteers who get involved, ask questions and make an impact on their supervisors will have a fantastic learning experience. All volunteers need to be flexible, communicate well, and work hard as internships are demanding and must be taken seriously. You will be representing a professional organisation and you may sometimes have deadlines to meet. The Projects Abroad Human Rights office closes over the Christmas and New Year period, from the 23 December – 2 January. This is due to the courts, Parliament and our project partners being closed for the holidays. Volunteering as an intern for 2 - 4 weeks will give you the opportunity to join our social justice initiatives in Cape Town. These make up a fundamental part of our Law & Human Rights project in South Africa, and are essential for addressing human rights issues. Volunteers assist with case preparation, and provide support for those in need of legal services who would not otherwise get help. You will also spend time running life skills workshops for at-risk women, and preparing education and life skills workshops for juvenile offenders. 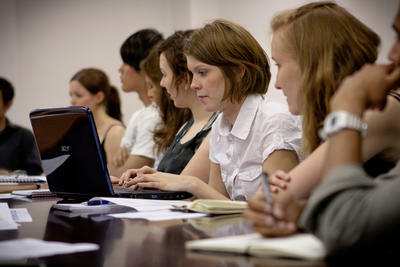 Interning for 2 - 4 weeks will give you exposure and insight into the daily working life of human rights lawyers. If you can stay for longer, you will have the opportunity to become much more closely involved in the legal aspect – taking on cases and preparation work, and potentially seeing them through to completion. Volunteers that join for 4 weeks or more will focus mainly on the legal side of things, although you will also be exposed to some of our social justice work. You will play an important role working on a diverse range of cases including refugee, labour, family and criminal law. Volunteers will spend time running legal clinics and assisting walk-in clients, and may also have the opportunity to attend court and conduct moot court hearings! During your time in South Africa, you will see significant progress on cases, and gain work experience while helping those in great need of legal assistance. You can read more detailed information about the aims of the project in our South Africa Human Rights Management Plan.